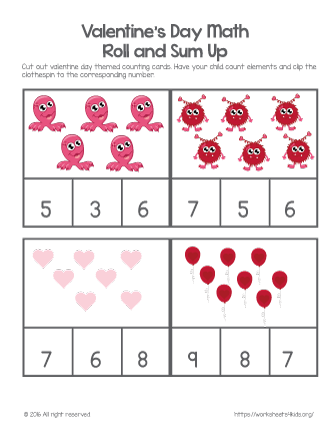 Valentine day math counting clip cards are great for kindergarten students to practice number awareness skills. Cut out cards and have your child count valentine elements and clip the clothespin to the corresponding number. Or, place the rock, button etc on the corresponding number.